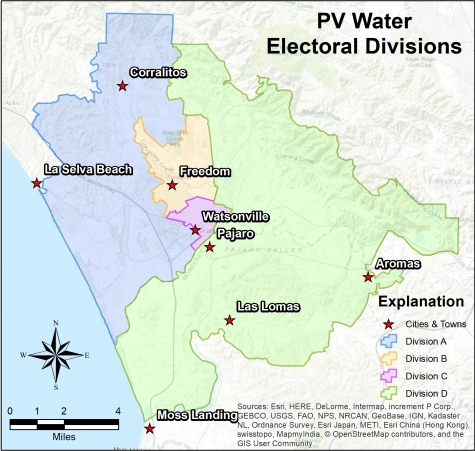 The Pajaro Valley Water Management Agency is governed by a seven-member Board of Directors, all of whom are voters of, and residents within, the area served by PV Water. Four Directors are elected and three Directors are appointed. The three appointed Directors serve a two year term and must derive a majority of their income to be eligible. Our present Board members, with date of election or appointment and date when term or appointment expires are listed below. Elected directors serve for up to four years per term. They must be residents of their division and registered voters at the time of their election and during their term of office. 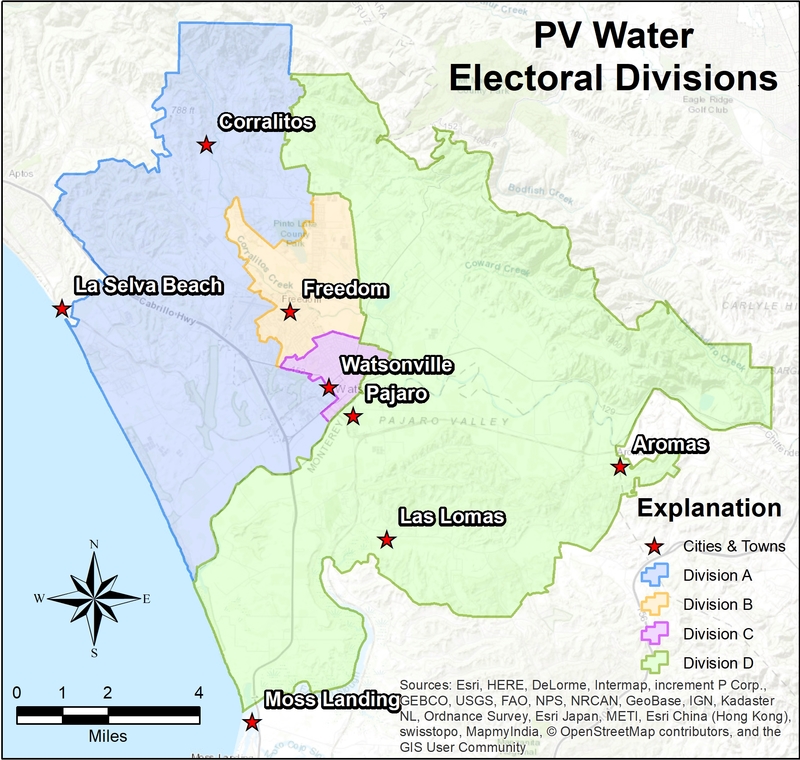 Elections are governed by the Uniform District Election Law (Cal. Govt. Code Sec 10500, et seq.) Two of the four elected directors terms expire on November 30 of even years. 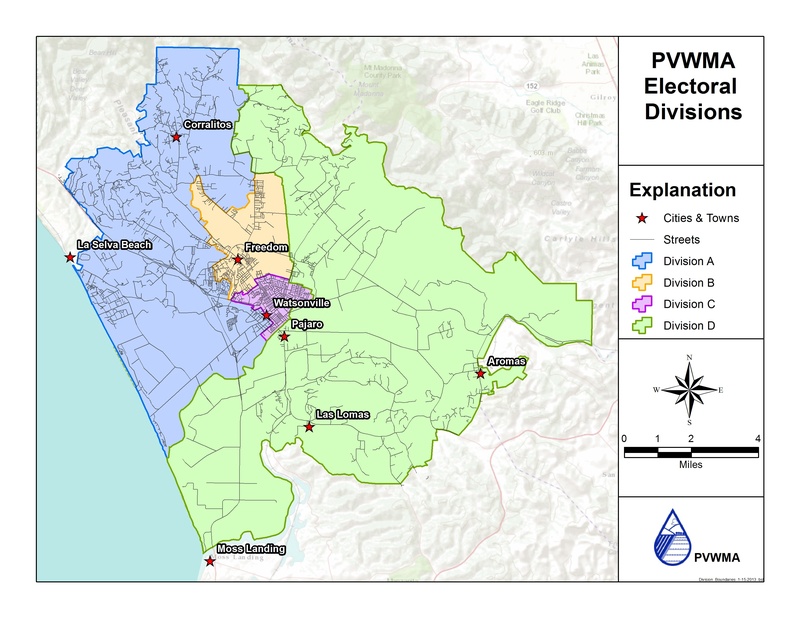 Candidates may file for the Division seats between July an August. Applications are available at the County Clerk’s office. Mary Bannister, Treasurer, In lieu of election, Division "A"
Don Bussey, In lieu of election, Division "B"
Amy Newell, Vice Chair, In lieu of election, Division "C"
Bob Culbertson, Vice Chair, In lieu of election, Division "D"